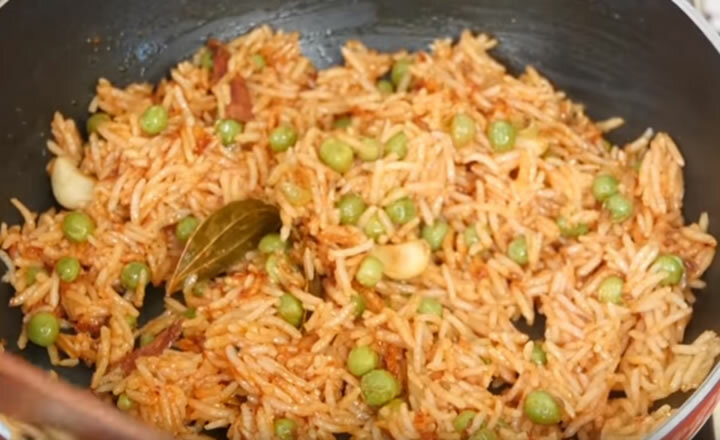 Tomato Cheese Pulao is a very popular and easy to make dish. 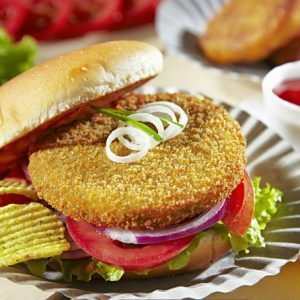 Popular as a street food in Mumbai, the pulao is a perfect recipe for kids. This variation of the original dish adds cheese to the dish and is delicious & flavourful. Crush the ginger and garlic nicely. Boil the tomatoes and peel the outer skin. Blend them to a fine paste in a mixer. Add all the masalas – cardamons, cloves, cinnamon sticks, bay leaf and temper it. Add the sliced onions, green chillies, ginger, garlic and saute them until golden brown. Add the red chilli powder, ground tomato paste and 2 cups of water, salt and mix well. Let it boil and add rice to it. Close them with a lid and keep the flame to low. Keep mixing it between and when the rice is cooked well, add garam masala powder, mint leaves and grated cheese. Lastly add the ghee and mix it gently and remove from fire. Feel free to comment or share your thoughts on this Tomato Cheese Pulao Recipe from Awesome Cuisine.